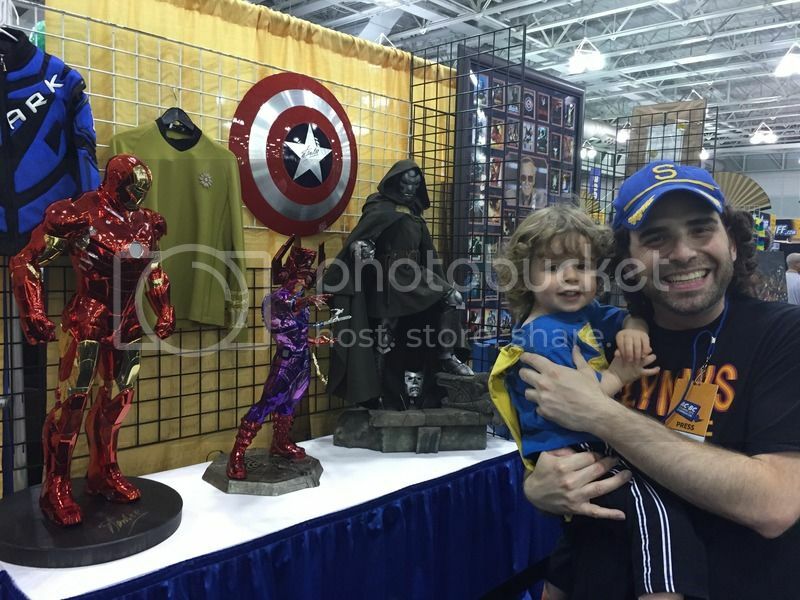 Atlantic City Boardwalk Con - AKA ACBC is da place to be! I've been a regular at comic and sci-fi conventions, or whatever you want to call them these days, since the '80s. The experience has changed quite a bit in those decades. In the past, they were mostly a place to shop for merchandise and meet creators. Today cosplay, video games, movies, and, most especially, celebrity signings, are the predominant aspect of cons. Geek has inherited the Earth and everyone wants to take part in the fun. That popularity has caused ticket prices to spike, show floors to be overcrowded places impossible to navigate, and worst of all, it's increasingly difficult to get tickets for San Diego Comic Con or New York Comic Con. I've attended both of those shows many times, and they do offer some amazing one-of-a-kind experiences, but they're also mostly about waiting in very long lines. Personally, I much prefer a well organized midsize con over the Super-Size variety. That brings me to the inaugural Atlantic City Boardwalk Convention, which might be the best debut for any con in recent years. Most new events have major hiccups as they start up, but ACBC was a well oiled machine from the outset. Simply put, I haven't had a more enjoyable time at a con in quite some time. Let me start with Marvel Comics who had a key presence at the show. Their booth was at the center of the floor, and they offered a lot to see and do. Of course there were the typical freebies and creator signings with the likes of Peter David and Mark Brooks. They also had some new show-exclusive merchandise like t-shirts and hats. Finally, their stage offered everything from a child friendly sing-along to a rap appearance by the legendary DMC. Marvel definitely gave the fans a lot to enjoy. There was also a large group of media and comic guests to choose from. My family took time out to get a poster signed by Flash series actress Danielle Panabaker. She was very sweet and offered just the slightest hint of what's to come in the season finale (which has already aired by the time this was published). There were also opportunities to meet Kevin Smith, Jason Mewes, William Shatner,​ and a bevy of other celebs. I also picked up a beautiful page of Clayton Henry drawn comic art featuring Marvel's Hercules battling Namor. 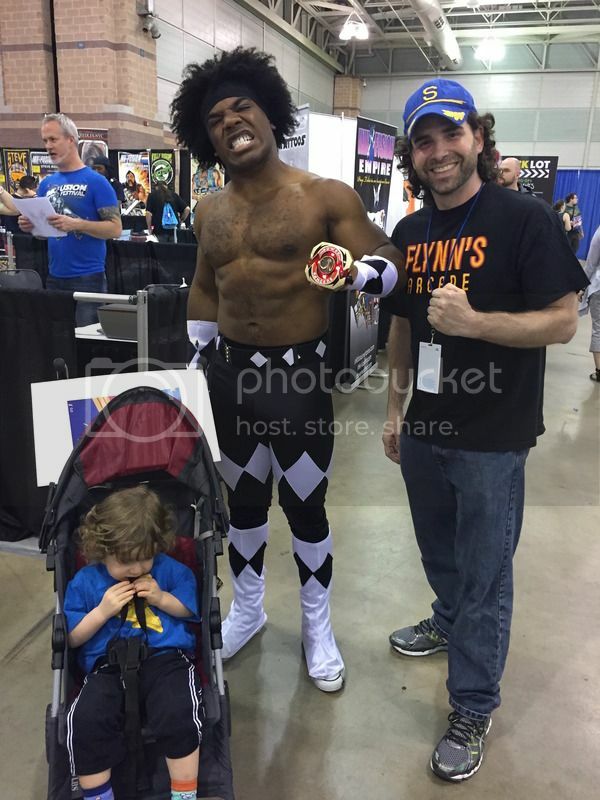 The oddest celeb encounter was with Xavier Woods who is a WWE tag team champion, and happened to be enjoying the con in Power Rangers attire. Yeah, he was just chilling enjoying the con! If you ask me, that's a pretty packed day of creators and stars! Beyond these attractions, you could also take pics of a variety of Batman vehicles and Ghostbusters Ecto-1. Even better was a nice setup of original art, statues, and prop replicas dubbed the Stan Lee Museum. I could have done without Stan's signature on every piece of artwork, but it was a cool setup. 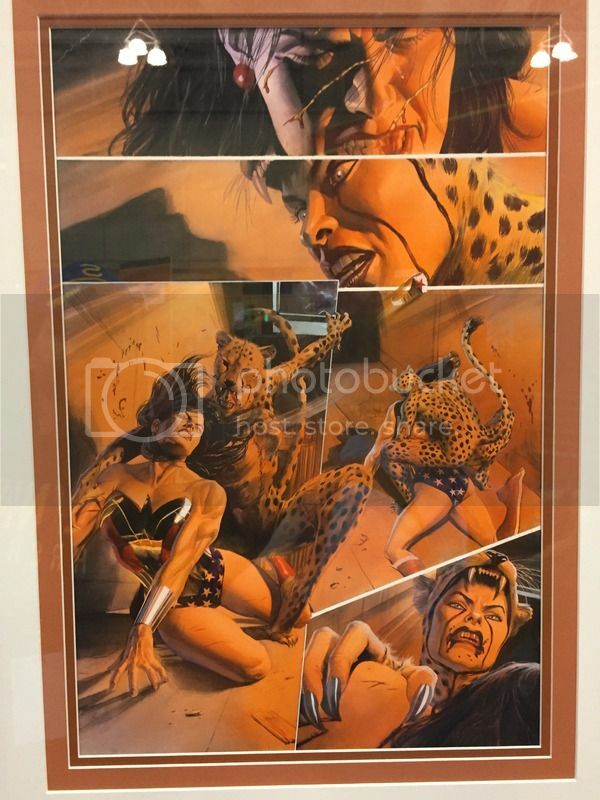 There was also a nicely curated display for Wonder Woman by the the estate of creator William Moulton Marston. Quite a bit of foot traffic moved through these areas but not so much you couldn't relax and look around either. When I go to cons it's always fun to visit booths that are there just to enjoy, and these certainly filled that necessity! There was a great deal of emphasis placed on cosplay, tattooing, and panels as well. So really, the organizers hit all of the pillars of the pop culture community. The venue was modern, offered easy, cheap parking, and lots of floor space. There was even ample room to grow next year. All told, you can't ask for much more! Sign me up for next year!